One of the key techniques I’ve taught Blog Mastermind members since 2007 is the value of a ‘Life Story’ post or series. In simple terms, a Life Story post is your background story as it relates to the topic of your blog. If you blog about collecting colonial stamps, your background story is how you grew up and discovered this passion, and then how you grew your collection and what you do today. If you blog about how to cure chronic back pain, you talk about how your life led to this skill, possibly explaining your own back pain recovery process, and how you spend time helping people today. If you blog about how to travel first-class on a coach-class budget, then your story reveals how you first discovered a love of travel, then your desire to fly first class, how you managed to book your first flight in lie-flat seats, and then developed your current methods for ‘travel hacking’. The Life Story post is a story. It’s very important you write it as a narrative in chronological order, explaining all the key highlights of your journey leading to today. You’ve possibly watched one of those TV shows where they get someone famous and then go back in time and look at their life, bringing old friends on to the show to reminisce about the past. There’s a reason this kind of storytelling works. There’s something powerful about going back in time and reliving the key moments in your life. You may find yourself enjoying writing this post more than most, because it triggers memories about events you had not thought about in a long time. From a marketing perspective, your Life Story post is a powerful tool for establishing your authority. Even if you don’t see yourself as an ‘expert’ or ‘qualified’ to call yourself an authority, simply sharing your story will create this impression (even if you are still very much a work in progress). The Life Story post is especially powerful because your authority is implied. You’re not simply telling everyone you’re great at what you do, you’re sharing your background story using a narrative that engages people like a biographical book or movie. Given your audience also cares about the subject (or they wouldn’t be there reading your blog), they are going to be extra-engaged when reading how you became the person you are today. You will also find that people who read your life story from start to finish will see you as a trusted friend, rather than just a blogger. They will respect your opinion and value your advice because they know what you have been through and where you have come from. Your Life Story post also functions as a powerful tool for teaching. Many of your life lessons no doubt led to incredible insights and breakthroughs that you want to share with your audience. Your Life Story is the foundation, the source of these insights because you explain what you went through to discover them. By sharing your journey, you demonstrate your own ‘before and after’ case study. Of course your Life Story is not long enough to truly teach how to do something completely — that is what the rest of your Blog Sales Funnel is for — but you can certainly introduce and give an overview of your foundation principles and ideas. It’s important to understand that your Life Story is not just an About page. Your About page also usually contains a prominent email optin box, links to your social profiles and possibly your contact details as well if you do not have a separate contact page. Your About page is not long. It’s not a story, it’s a soundbite. It’s an important page, but it’s not designed to do the same thing as your Life Story post is. While your About page appears in your main or sub-navigation links, your Life Story should be utilized in several areas. 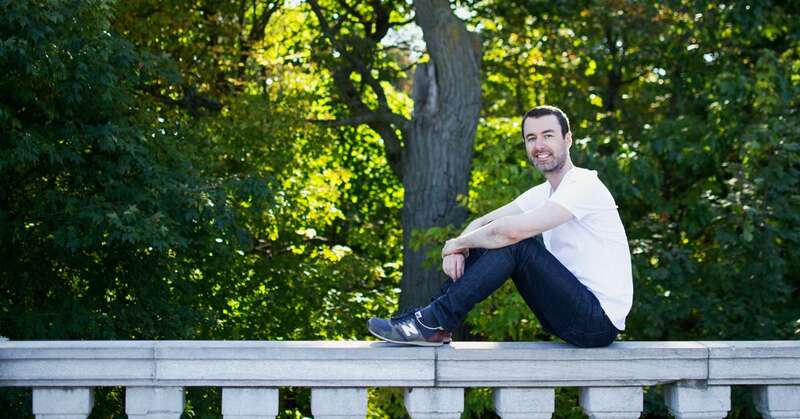 If your blog has a sidebar where you include a picture of yourself, that’s a logical place to link to your Life Story (under the photo link and make the photo itself click through to it). I frequently include my Life Story post in the welcome email of my email funnels, and also in the footer area of emails. The goal is to make sure your Life Story becomes what I call ‘first impression’ content. First impression content is exactly what it sounds like – the content a new reader experiences the first time they discover you. In most cases a person will first discover you via a blog post of yours they found in a search engine or shared via social media. It will be about something specific that appealed to them (one of your Pillar Posts no doubt). After reading that initial blog post, ideally the next thing they will do is join your email list, however they may not be ready for that commitment yet. In which case, you want them to head to your Life Story page next. By reading your life story their trust in you increases, which means they are more likely to then join your email list if they have not already. The Life Story post is a key tool in the process that leads a potential customer to make a purchase. By establishing rapport, demonstrating authority and teaching through your own story, people will choose to buy from you when the time comes. I go into detail about how to write and use a Life Story, in particular in a two week Blog Sales Funnel to sell any product or service, inside the Blog Mastermind 2.0 program. Your Life Story must be a story in chronological order. Start the beginning of your life or the beginning of what makes sense based on your topic and start moving forward, highlighting each key milestone, or event or breakthrough you experienced. Cover your own frustrations and fears, what you felt about the changes or passions you wanted to explore but had yet to experience. When you hit the big breakthroughs, talk about what you did, what worked, and how it changed your life. Compare what worked to what previously did not. Write about influential people or events that shaped you as it relates to the topic of your blog. Then bring everything up to today, what you currently do, how you help other people and what your current big goals are. Make sure your Life Story is not just about random events in your life. It MUST be the story about your history with the subject your blog is about. That’s the subject your audience cares about, which is why they will read your life story (otherwise it’s just a random story about a random person to them). In terms of length, your Life Story should be several thousand words, and may even stretch into the 5,000 to 10,000 range. You can and should break it down into chapters of individual articles all linked together if you find one article is just getting too big. You could also consider explaining your life story via podcast audio or a video if you don’t want to write it out. I use a talk I did at a networking event about my business life story and provide it in video and audio along with the text version (you can see them here). I recommend you write your Life Story post as one of the first blog posts for a new blog. It’s an important piece of content, and a great place to start blogging. P.S. When I first started writing my life story I was very new to blogging and had no idea it would become such an important part of my blog. Over time I continued to add to it, eventually creating a series of posts that cover the first 30 years of my life. For a trip down memory lane, you can read over my original life story series starting here. Yeah, thanks a lot Yaro my Mentor, I actually enjoyed your post on writing a life-story post for one’s blog foundation post. I actually written a life-story on demand by Trevo network company for which I won an award for outstanding originality. now can I still use that for my personal blog? Please do keep me posted on the next batch of the mastermind class. Thanks once again for the post. Thanks alot Yaro, this article has given me more courage to go ahead to write my first life story post and the importance of it. I’ve always sort of struggled to write my life story, because I tend to not lead a nice linear life! My path to where I am now has been so all over the place, it can be hard to pin it all down into a nice narrative that tells a good story. But I’m working on it! Right now I tell a short version of my story in the first email that I send when people join my list, but I see now that it’s a big thing that’s missing from my blog. I’ll have to get working on that! I agree with you Yaro that a life story post is an important piece of content and that it should be one of the first blog posts for a new blog! Hey Yaro. I agree with you totally. I stumbled on this idea when i first got into full time blogging sometime last year. What i did wasn’t as expansive as what you’ve described here though. From experience, Life stories like you mentioned here helps readers connect with the author in a personal way. I feel this is also another good way to build up some loyal followers. Personally, I’d decided to include my life story from time to time in my posts… And i found out such posts generated a lot more reaction from my readers. 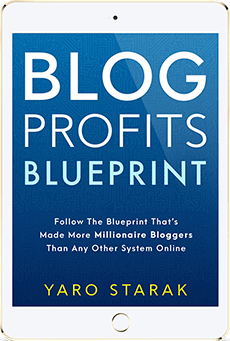 Thanks for this post and the Blog Profit Blueprint. Focus on the story as it relates to the problem you help people solve. If you help people curing a bad back, then tell the story of how you first hurt your back, then what you tried to do to fix it, what worked, what didn’t, how your life was impacted, and so on. The story must be relevant to the topic of your blog. Also I would love to know, is it advisable to link to other posts on the blog via this post, or do we just keep it plain and simple, so that their attention is not distracted and they remain on the life story post till they finish it ? Internal linking to relevant content is always a good idea Rohit – it keeps people on your site and learning more from you.